The design of the kitchen cabinet and the color will create an environment condusive to entertaining and meal preperation. The kitchen cabinets need to be functional and visually pleasing. Solid wood durability is built into every Kitchen Kompact cabinet. All cabinets get stained and sealed and are protected with a durable topcoat resulting in a surface that is virtually “family-proof”, resisting many household chemicals, water, alcoholic beverages, mild acids and even nail polish. Your kitchen is more than just a kitchen you can cook in. It is a kitchen you can live in at a price you can live with. 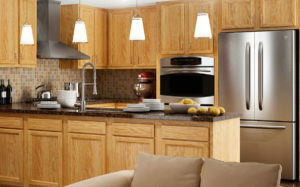 Kitchen Kompact cabinets are well built, affordable & made in the USA. Designed for the way people live today, with accessories that make the best use of available space. Stop in today and let one of our experts help you with your dream kitchen. 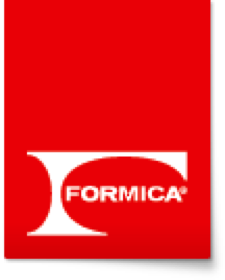 Formica provides homeowner customers with the surfacing materials they need. Whether it’s laminate countertops for a kitchen renovation, a vanity top for a bathroom remodel, DIY cabinet refacing, or countless other projects. Wilsonart® Laminate offers hundreds of designs at an affordable price. If you are building a new home or remodeling an existing one, laminate is a great choice for counter tops in kitchens, baths, kid’s rooms and laundry rooms, and can even be used on walls and doors! At Karran we were the first company to develop an undermount acrylic solid surface sink that was thermo-formed. We were the first to introduce a complete line of acrylic solid surface sinks that could be undermounted to laminate. We were the first, and only, company to develop a line of stainless steel sinks that could be seamlessly undermounted to laminate, solid surface and stone countertops. Always thinking, always developing, always trying to do things better – that is Karran.